\r\n	The term diabetes mellitus describes several diseases of abnormal carbohydrate metabolism that are characterized by hyperglycaemia. It is associated with a relative or absolute impairment in insulin secretion, along with varying degrees of peripheral resistance to the action of insulin. They are derived after doing many clinical trials on animal models. 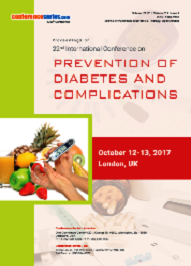 Every few years, the diabetes community revaluates the current recommendations for the classification, diagnosis, and screening of diabetes, reflecting new information from research and clinical practice which in turns help in understanding current prevention and treatment options and cost effectiveness in treatment and prevention of Diabetes. People with type1 and type2 diabetes have an increased risk of developing a number of serious health problems. Consistently high blood glucose levels can lead to serious diseases affecting the Macro vascular and micro vascular complications. In addition, people with diabetes also have a higher risk of developing infections. In almost all high-income countries, diabetes is a leading cause of cardiovascular disease, blindness, kidney failure, and lower limb amputation. Maintaining blood glucose levels, blood pressure, and cholesterol at or close to normal can help delay or prevent diabetes complications. Hypoglycaemia and Hyperglycaemia are the other two factors are the two major complications of diabetes where hyperglycaemia is an acute complication sharing many symptoms and hypoglycaemia is an acute complication of several diabetes treatments. Glycosylated haemoglobin is a form of haemoglobin that is measured primarily to identify the average plasma glucose concentration over prolonged periods of time. \r\n	Diabetes constitutes a major public health problem. Although substantial progress has been made in defining the genetics of metabolic syndrome risk for specific subtypes of diabetes (e.g., maturity-onset diabetes of the young), the majority of genetic risk of diabetes (for type 1 and type 2) remain unresolved. 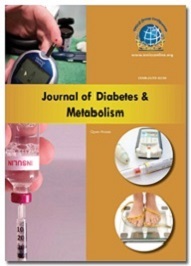 This review focuses on the current knowledge of the genetic basis of diabetes and its complications, specifically diabetic nephropathy (DN), recent advances in genetics of diabetes, diabetes in ethnic groups, genetic lifestyle interactions and understanding the genetics of Diabetes. Ultimately, identification of genes that contribute to risk (or protection) of diabetes and its complications will allow identification of patients who have diabetes and are at risk and targeted treatment/interventional strategies. Diabetic amyotrophic is a disabling illness that is distinct from other forms of diabetic neuropathy. \r\n	The concept of 'new technologies' for type 1 diabetes and new discovery and advanced type 2 diabetes treatment has expanded in recent years at a rate that some might consider comparable to 'Moore’s Law', and the sheer number of new technologies entering into the type 1 diabetes marketplace is also growing at a remarkable rate. From the patient’s perspective, this is not only exciting but can lead to a sense of optimism. Technologies that today are growing commonplace (e.g. insulin pumps, rapid HbA1c monitoring, etc come under new therapeutic mechanisms of diabetes. Indeed, it could be argued that the major advances in type 1 diabetes care made within the last quarter of a century have come from technology rather than biology. At the same time, not all new technologies succeed (e.g. the Glucowatch), regardless of their purported promise. Both type 1 diabetes patients and their healthcare providers will soon see a series of further advanced medical technologies used in hospital and new technologies and novel therapies in diabetes treatment whose basis is tied to the notion of improving the lives of those with the disease. \r\n	The main goal of diabetes management is, as far as possible, to restore carbohydrate metabolism to a normal state. To achieve this goal, individuals with an absolute deficiency of insulin require insulin replacement therapy, which is given through injections or an insulin pump. Insulin resistance, in contrast, can be corrected by dietary modifications and exercise. Other goals of diabetes management are to prevent or treat the many complications that can result from the disease itself and from its treatment. Healthy eating is a cornerstone of healthy living — with or without diabetes. But if you have diabetes, you need to know Impact of Food and Nutrition, impact of physical activity and yoga therapy in Diabetes Management. Diabetic foot complications result in huge costs for both society and the individual patients. Few reports on the health-economic consequences of diabetic foot infections have been published. Standards of medical care in Diabetes increased when compared to previous year. \r\n	Diabetes is a common chronic disease that imposes considerable demands on the individual healthcare system. People with diabetes have a higher rate of cardiovascular disease than those without diabetes and are at increased risk for kidney failure, lower limb amputation and blindness. Obesity is a significant risk factor for diabetes and the prevalence of obesity in children and adults has dramatically increased in the past four decades. Diabetic dyslipidemia is one of the major risk factors for cardiovascular disease in diabetes mellitus. The characteristic features of diabetic dyslipidemia are a high plasma triglyceride concentration, low HDL cholesterol concentration and increased concentration of small dense LDL-cholesterol particles. 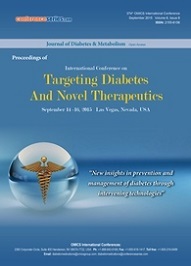 In order to investigate the bioinformatics tools and methodologies used to in diabetes research, at first, this was difficult to do because it did not have a preconceived idea about how the research would be organized and how bioinformatics tools would be described or identified in the research. To get started, we ran several cursory searches using basic search terms such as bioinformatics and diabetes (research) through several databases to see what types of articles were returned. Diabesity can be defined as a metabolic dysfunction that ranges from mild blood sugar imbalance to full-fledged type 2 diabetes. A bolus dose is insulin that is specifically taken at meal times to keep blood glucose levels under control following a meal. \r\n	Getting a new heart, liver, kidney, lung, or other organ can save your life. Sometimes, it can also lead to type 2 diabetes. Many people can stop taking steroids after 6 months or so. This may solve the problem. If scientists can develop safe immunosuppressant’s that always work, then many people with type 1 diabetes may choose to have pancreas transplants. Until then, many doctors think islet transplants are a better option even after performing clinical trials on islet transplants. Islets are clusters of cells in the pancreas that make insulin. In people with type 1 diabetes, islet cells are destroyed. Only 1-2% of the pancreas is made up of islet cells. In pancreatic islet transplantation, cells are taken from a donor pancreas and transferred into another person. Once implanted, the new islets begin to make and release insulin. Researchers hope that islet transplantation will help people with type 1 diabetes live without daily injections of insulin. A transplant of the pancreas is usually reserved for those with serious complications. Pancreas transplants are most often done when a patient also receives a new kidney. The pancreas transplant adds little further risk in this situation and offers big benefits. However, transplant surgery is risky. Each person needs to carefully weigh the potential benefits and risks. Xenotransplantation for the treatment of type 1 diabetes is the transplantation of living cells, tissues or organs from one species to another. Such cells, tissues or organs are called xenografts or xenotransplants. A bolus dose is insulin that is specifically taken at meal times to keep blood glucose levels under control following a meal. A bolus dose is insulin that is specifically taken at meal times to keep blood glucose levels under control following a meal. Bolus insulin needs to act quickly and so short acting insulin or rapid acting insulin will be used where as Conventional insulin therapy is a therapeutic regimen for treatment of diabetes mellitus which contrasts with the newer intensive insulin therapy. \r\n	Novel therapeutic targets available for diabetes includes Incretin based therapies, oral therapeutic agents like secretagogues, beta cell regeneration & proliferation and stem cell therapies. Embryonic stem cell and fetal precursor cell transplantation therapies are the major stem cell therapies available for Diabetes. Apart from the above, various computational approaches in Diabetes management control have been introduced recently which are playing an important role in identification of genes causing diabetes helping in Early Detection of Diabetes. These processes are also useful in studying the chemical etiologies of Diabetes uncovering various treatment prospects and model construction processes for survival prediction. \r\n	Computational meta-analysis can link environmental chemicals to genes and proteins involved in human diseases, thereby elucidating possible aetiologies. The recent rapid development of a variety of analytical platforms based on mass spectrometry and nuclear magnetic resonance have enabled identification of complex metabolic Syndrome phenotypes. Continued development of bioinformatics and analytical strategies has facilitated the discovery of causal links in understanding the pathophysiology of diabetes and its complications. \r\n	Diabetes is always accompanied by a number of serious health issues. Consistent increase in blood glucose levels can lead to serious diseases affecting the vital organs of body like heart and blood vessels, eyes, kidneys, nerves and teeth. 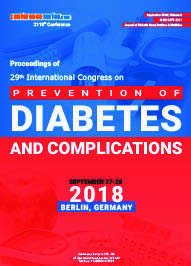 In almost all high-income countries, diabetes is a leading cause of cardiovascular disease like diabetic cardiomyopathy being one of the major risk factor, blindness, kidney failure, and lower limb amputation. Diabetic Retinopathy causes progressive damage to the retina in the patients with diabetes adding as the most vulnerable risk for the patient. Maintaining blood glucose levels, blood pressure, diabetic gastro paresis which has been reported to have the main cause as Diabetes Mellitus and cholesterol at or close to normal can help delay or prevent diabetes complications. \r\n	Endocrinology is the study of hormones and the treatment of hormone based diseases. The endocrine glands produce chemicals called hormones. These hormones are released into the blood stream and exert their action by stimulating other organs in the body. However, Clinical trials on endocrinology look at new ways to prevent, detect, or treat disease. The major endocrine glands are the thyroid, pancreas, parathyroid, adrenal, gonad and pituitary. The hormones from these glands regulate growth, metabolism, blood pressure, reproduction as well as many other necessary functions. Early Diagnosis and Treatment of Endocrine Disorders, written by a distinguished panel of clinical experts and research scientists, focuses on the early signs and symptoms of common endocrine diseases, surveys the clinical testing needed for a diagnosis, and concisely presents the best current recommendations for therapy. Paediatric endocrinology is a medical subspecialty that studies and treats conditions affecting physical growth and sexual development in children, as well as diabetes and other disorders of the endocrine (hormone) glands.